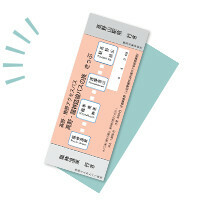 This unlimited-ride ticket can be used all day for travel around Koyasan. 11 KADOHAMA "Gomatoufu" purchase 10% off or taste "Gomatoufu"
Tickets are sold only at the counter in the bus office in front of Koyasan Station. Refunds for basic fare tickets will not be issued after the beginning of use or after the date of validity. 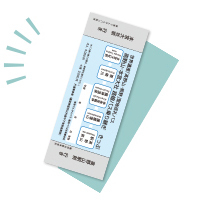 This ticket set features a discount round-trip train ticket to Koyasan Station and a two-day, unlimited-ride basic bus fare ticket for the Koyasan area. Discount tickets are also available, including 20% off admission tickets. This bus service departs from Koyasan bound for Kumano Kodo and the Kumano Hongu Taisha Grand Shrine, stopping at Gomadanzan, Ryujin Onsen, and Kurisugawa bus stops. Transits at Gomadanzan and Kurisugawa bus stops. This bus service departs from Koyasan bound for Kumano Kodo (with stops at Nakahechi and Kumano Hongu Taisha Grand Shrine). The Gomadanzan transit stop offers service to Kurisugawa (Nakahechi) via Ryujin Onsen. Visit the hidden Ryuji Onsen, known as one of Japan’s top three beauty hot springs. Note: Please change to the Ryujin Bus service at Gomadanzan. This bus service departs from Koyasan to Kii-Tanabe via Ryujin Onsen. Please use it when going to Shirahama. For more detail, please inquire to Koyasan service office. ＊Operation will be suspended on June 9th, Sunday due to UltraMarathon. Running along the Kishu ridgeline, the Koya Ryujin Skyline begins atop the sacred Mount Koya and offers a striking view of the surrounding mountains.